Despite the endless hype around its performance and cost-saving capabilities, it turns out relying solely on public cloud isn’t the most logical infrastructure choice for every organization. Fortunately, there’s a way to get the best features of both on-premises and public cloud – a strategy known as hybrid IT. 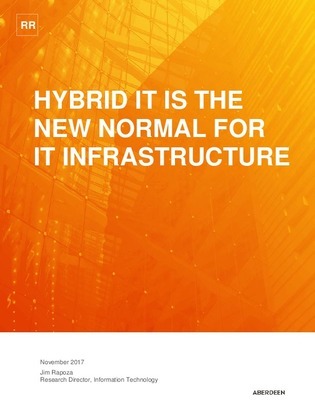 Click inside to explore the challenges that businesses like yours are facing around building and managing modern IT infrastructures – and how hybrid cloud can bring out the best of both worlds.